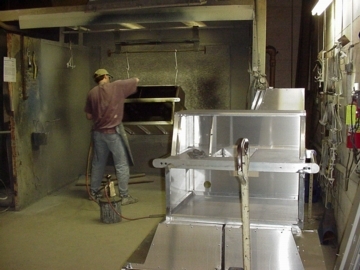 Bridgeview has served the Electronics Industry for plastics, sheet metal and wood. We will soon be celebrating our 50th year in business. 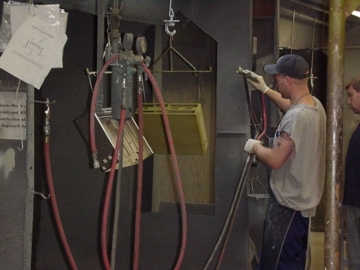 Throughout our history, we at Bridgeview have prided ourselves on consistently providing spray paint finishes of very high quality, on time and at competitive prices for our clients. Realizing that each customer has its own specific requirements, Bridgeview has a staff fully trained to apply finishes in a wide variety of textures, colors and thicknesses. Everything from small screwheads to large missle assembly parts have passed through the Bridgeview shop, which is fully equipped to handle both short-run and production work.